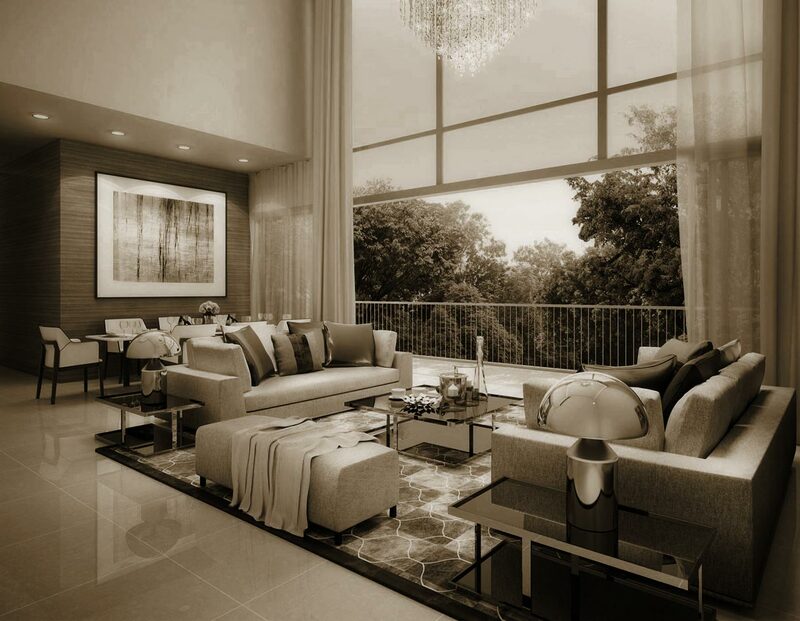 Our Hotline: (65) 6639 2567 / Hot News: The Most Exciting Iconic Condo In Tanah Merah Is Pending Approval For Sale and Is Seeking indication of interest! 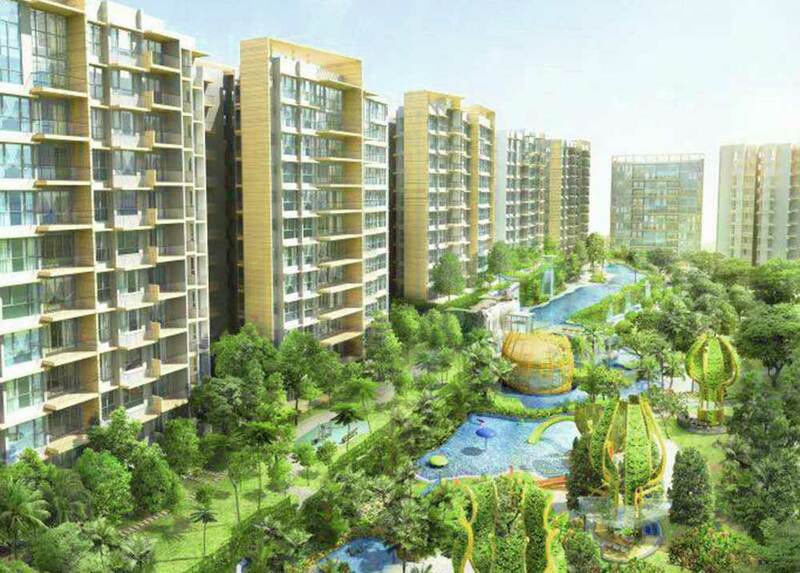 The Glades condo is located in one of the most sought after residential site in Singapore, Tanah Merah. The lovely location consists largely of private residential properties, country clubs, and some light industrial parks. In this region also lies a segment of the East Coast Park. 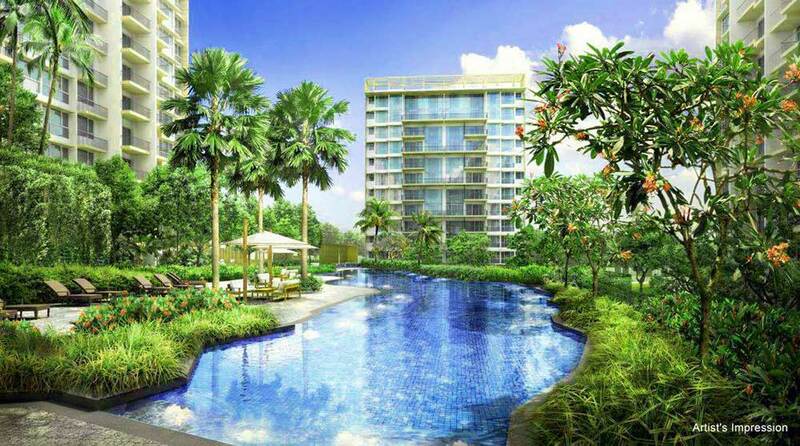 The Glades Condo Tanah Merah, The Glades Singapore. Situated just less than 3 minute walk to the Tanah Merah MRT Station, The Glades condo is located nearby Changi Business Park and the upcoming Singapore 4th University. The residents of The Glades are also totally pampered by the convenience of surrounding shopping and dining options. Ranging from simple food hawkers at Bedok Market, to the sumptuous seafood centre at the East Coast Park, to the sophisticated dining restaurants at Changi City Point, they are all minutes away from The Glades. The Glades Tanah Merah Condo is amazing. The Glades Tanah Merah. The Glades condo comprises of 11 towers of 726 residential and 3 commercial units, Offering sleek façade and a choice of 1 to 4 bedrooms, SOHO, Suites, Condo, Dual-keys, and Luxurious Penthouses, The Glades at Tanah Merah is designed to bring city living to the beautiful East of Singapore. The Glades Tanah Merah. Residents of The Glades @ Tanah Merah. Investors of The Glades @ Tanah Merah. Images of The Glades Tanah Merah. Tanah Merah is one of the most sought after residential site in Singapore. With its prime neighboring location such East Coast, Telok Kurau and Siglap, The Glades at Tanah Merah will be the next ideal location for both home owners and investors. It takes only less than 5 minutes walk away from The Glades Condo to Tanah Merah MRT Interchange and with the public bus stop which is located right in front of the development is enough to connect the residents to the rest of island. For vehicle owners, it is only minutes away from the major roads such as ECP, PIE and TPE. Only the finest and specially selected modern and high end branded fittings and furnishing are offered to personify lavish lifestyles and transform the residential space into a luxurious living experience in The Glades Condo. The renowned brand of the fittings are personally handpicked by one of the top developers in Singapore, The Keppel Land Ltd. The residents of The Glades are totally pampered by the surrounding shopping and dining options. Ranging from simple food hawkers at Bedok Market and Bedok Interchange, to the sumptuous seafood centre at the nearby East Coast Centre, to the sophisticated dining restaurants at Changi City Point, they are all minutes away only. Just to specify a few prestigious schools which are surrounding The Glades Condo: St Anthony’s Canossian Primary, Anglican High, Temasek Secondary and Junior College, Temasek Polytechnic, Victoria Junior College, Tampines Junior College and the upcoming Singapore fourth university (SUTD). With project situated right next to MRT Station and literally next to the future major commercial hub, Investors of The Glades Condo can expect a steady potential gain from this development. Also, with Singapore Changi Airport, Changi Business Park and the upcoming fourth university nearby, investors of The Glades at Tanah Merah can expect strong demand rental from high skilled expatriates who are working around these places. ondo facilities at The Glades Tanah Merah include Guardhouse, Entrance Plaza, Island Feature, Vehicular Exit with Guard Post, Side Gate to MRT, Side Gate, Water Cascade, Island Pavilions, Forest Valley, Bio-Swale, Leisure / Bubble Pools, Water Curtains with Vertical Green, Olympic-Length Grand Pool, Grand Waterfall, Wellness Clubhouse (Gymnasium, Indoor Studio, Outdoor Deck), Changing / Shower Rooms with Steam Baths, Aqua Gym, Hydro-Therapy Rain Shower, Forest Spa, Sky Pods (Zen Pavilion with Thermal Spa Pool, Mediterranean Pavilion with Spa Pool, Tropical Pavilion with Spa Pool), Eco Pond, Children's Play Zone (Adventure Slide, Play Pool, Playground), Forest Trail, Eco Clubhouse (Function Room, Commercial Shops), Outdoor Fitness Stations, Semi-sunken Tennis Court, Garden Terrace (Tea Deck, Lounge Terrace, Cozy Corner), Spice and Herb Garden, Sundeck. Is The Glades Tanah Merah Really Good? 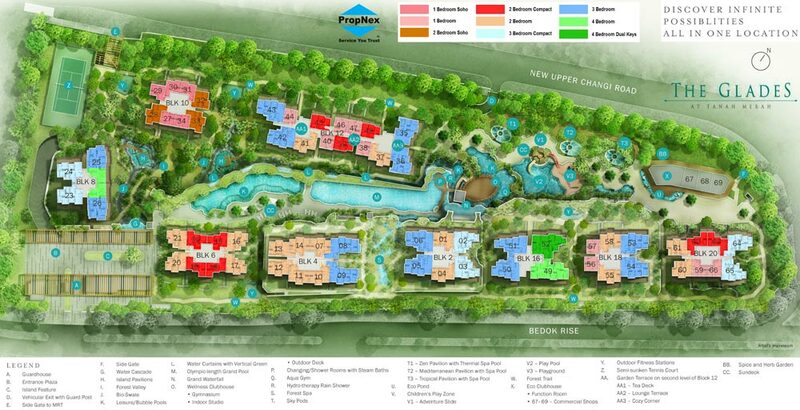 Explore The Glades Condo through the map below to find out if the location is ideal for you. To find out the distance or time taken to travel from The Glades to another location, click on the link “Directions to” or “Directions from” on the map below and type the location address/name. Remember to select the mode of the transportation – By car, walk or public transport, and select the most ideal route suggested by the google map. If the below map could not recognize the name of the location, try entering its postal code or address.